AND FINALLY: Delivery by drone? Just days after taking delivery of its very first Airbus A321 aircraft, JetBlue Airways placed a new order for 15 A321ceo (current engine option) and 20 A321neo (new engine option) aircraft on 29 October, tipping the A320 family order book over the 10,000 mark. Aegean Airlines has announced that it will expand its UK reach with new flights to Athens from Birmingham Airport commencing June 2014. The seasonal route will operate twice a week, Tuesday and Saturday. easyJet has set its sights on the Chinese market with a new dedicated homepage in response to the growing number of Chinese customers flying with the airline. On 3 December London Gatwick celebrated four years as a stand-alone airport. With £1billion invested in the airport – from modernising the forecourt, check-in and security areas to overhauling the departure lounges, upgrading the departure gates, runway and immigration halls – the airport has gone through a monumental transformation. Belgian airline Jetairfly became the first airline in Benelux to operate the Boeing 787 Dreamliner on 4 December. The British government’s New Infrastructure Plan (NIP), revealed in this week’s Autumn Statement, has been welcomed by the majority of UK airports and sees £375 billion of planned public and private sector infrastructure investment. Belle Air Europe, based in Pristina, Kosovo, has suspended operations, a day after the airline issued a press release to reassure passengers that it was operating normally and planning future destinations including Dortmund. Emirates swooped into the home of the Oscars on 2 December to launch the world’s longest A380 service. The Airbus touched down in Los Angeles at the end of the inaugural trip, which crossed the Russian Federation, the North Pole and Eastern Canada. flydubai has signed a commitment for 100 Boeing 737 MAXs and eleven ‘Next Generation’ 737-800s. The event is the largest ever order for single-aisle Boeing aeroplanes placed by a Middle Eastern carrier and is valued at US$11.4 billion. Air Canada has launched a new cabin design for its fleet of 34 Boeing 787 Dreamliners, with the first expected in service in March. 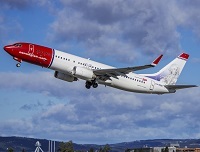 Norwegian Air Shuttle has announced plans to establish a new base in Barcelona, Spain, in spring 2014. This will be Norwegian’s sixth base in Spain, along with those in Madrid, Alicante, Malaga, Las Palmas and Tenerife. It is reported that a deal has been struck to see Flybe keep its Newquay-Gatwick route going until October 2014 at least. Following the launch of the Thomas Cook Group’s unification of its brands under one common symbol, the ‘Sunny Heart’, Thomas Cook Airlines UK took delivery of its first aircraft in the new scheme on 3 December. United Airlines has completed an extensive redesign of its fleet of 15 Boeing 757-200 aircraft that fly the Premium Service (PS) transcontinental routes between JFK and LAX and JFK and San Francisco. This means it is set to become the first (and only) airline to offer premium-cabin, flat-bed seats on these sectors. 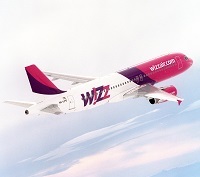 On 27 November Wizz Air Ukraine announced a new route to be operated on an Airbus A320 from its new base in Lviv in 2014. 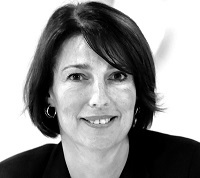 EIBTM, the annual global meeting and events expo held between 19 – 21 November 2013 in Barcelona, Spain, demonstrated that this sector of the travel market is certainly showing signs of strengthening again as new countries become popular group destinations, and new buyers are entering the market. Positive trends were shown with over 65,000 pre-scheduled appointments attended and a 7.7% increase in trade visitor attendance, with 40% of these first time visitors to the event. 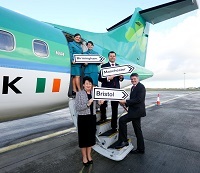 Aer Lingus is set to offer 100,000 new seats across three UK routes in 2014 thanks for a new service and increased frequencies on others. Aeromexico has announced new seasonal services from Chicago to Morelia and Puerto Vallarta. The Mexican airline will begin the flights on 12 December and 21 December respectively; in doing so it adds an additional 31 flights a week to its services from Chicago. Royal Brunei Airlines celebrated its inaugural ‘Betterfly’ service from London Heathrow to Brunei via Dubai on 2 December. Dar es Salaam (Tanzania)-based fastjet celebrated its first anniversary in early December by announcing a second international route. Chinese carrier Hainan Airlines received the ‘World's Leading Economy Class’ award at the high-profile World Travel Awards (WTA) ceremony at La Cigale Hotel Doha in Qatar on 30 November. 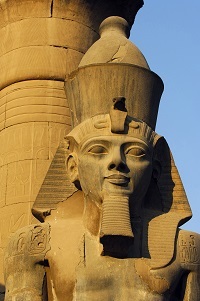 No other destination can match Egypt’s timeless appeal and unique historical sites and this, perhaps, is why it remains a popular holiday choice for many holidaymakers despite the recent troubles.